I would say that it’s more the political climate in which the Republican party makes it permissible to express racism and violence against others. Did you see Human’s of New York’s Open Letter to Donald Trump? But how does this connect to Newton North High School? I think it’s a slippery slope of lack of education around racism, along with tacit permission via musicals that sexist and racist musicals and the messages that they portray comply with behavior that students can express. Once Upon a Mattress is Sexist? Once Upon a Mattress does not deal with any racial stereotypes, but some of the plot points were incredibly sexist, especially in a show that had the chance to be so progressive. Most of my issues were with the Lady Larken and Sir Harry storyline, in which the two lovers get into a feud that only ends when Larken puts on something that “shows she’s a girl” and apologizes to Sir Harry, who never once takes responsibility for his part in the argument or mentions the fact that, during the several hours in which they were broken up, he took a French mistress who knew one word of English: Yes. Even Winnifred, who is an incredibly modern, self sufficient young woman who actually spends an entire song showing off her ability to drink and lift weights, buckles under societal pressure in “Happily Ever After”, a song where she essentially concludes that she will never be happy if she doesn’t get married. What’s important here is to recognize the purpose of theater, which is to get us to talk about and question our world. If a play or a musical can get us to open up about race relations, the role of women in society, or the idea of gender being a fluid construct, then those are the shows we should be performing and watching, even if they don’t have the most up-to-date terminology and politically correct point of view. I agree with this point but I think that the discussion should be part of the school’s curriculum rather than an ad hoc conversation among students. 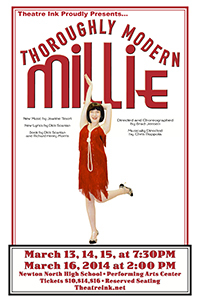 Thoroughly Modern Millie which is racist and similar to an incident in Metrowest Boston when a school performed Anything Goes twenty years ago. What’s interesting is that the school — 20 years ago! — reacted with more concessions than Newton North did, though it was still not enough. As a concession to the students, however, a statement on the inside back cover of the program booklet for the musical acknowledged that some in the school community had found the play racist and offensive. The statement also explained that the English and Social Studies departments had facilitated class discussions about Asian American stereotypes in order to understand the socio-historical context of the play. Yet, when asked how thorough or systematic these discussions had been, Anita replied, “it did not happen. They were going to talk about it in English and History, and then they didn’t.” Students saw that only a couple of teachers actually tried, but had such limited knowledge of the issues, that the discussions seemed counter-productive. Wendy recalled: One of our English teachers brought up the play and basically the whole class was arguing like why are these Asians so upset…. This other girl, she was Black, she understood, but the other people were basically like, ‘I don’t care, it’s just a play, it’s just for fun’…. I felt like the whole class was against the Asians, and I just felt hurt by it…. After class I just started crying, and then my English teacher came over to me and said, ‘I’m sorry you had to go through this’…. She tried to do some thing, you know. She said maybe we can discuss it after the play, but then she never went through with it. Newton North’s disclaimer was buried in the middle of the playbill and there were no teacher led discussions. There were, however, racist and aggressive comments made either verbally or written which were never addressed by Newton North administration. And, the musical right before Thoroughly Modern Millie — How to Succeed in Business Without Really Trying — was widely noted as sexist, set the stage for a racist play to follow it. Now, in the Newton Schools, there is a progression of student aggression from Sexist to Racist to Anti-Semitic. I’m not surprised at all. I just hope this prompts our school district to add additional educational units around racism and religious tolerance. It’s clearly long overdue. Music and political warfare have been used together in many different political contexts and cultures as a way to reach a targeted audience in order to deliver a specific political message. Fewer Asian-American students (18 percent) reported being bullied at school or cyberbullied than did white students (35 percent), African-American students (31 percent) or Latino students (28 percent). 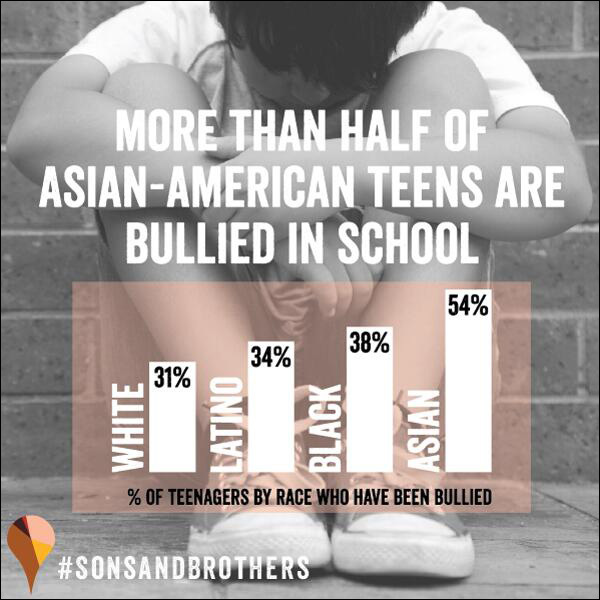 More Asian-American victims of bullying (11.1 percent) said that they were bullied because of their race than did white victims (2.8 percent), African-American victims (7.1 percent) or Latino victims (6.2 percent). Like other racial minorities, more Asian-American students (11 percent) reported being frequently targeted with race-related hate words than was reported by White students (3 percent).